1 Is There A Connection Between Hypothyroidism And Adrenal Fatigue? Is There A Connection Between Hypothyroidism And Adrenal Fatigue? There is a significant number of systems that work together in harmony with the human body to ensure optimal functionality and health. The endocrine system plays a vital role, producing a large variety of hormones, also considered to be chemical messengers. Disruptions in the normal functionality of the endocrine system can lead to unpleasant symptoms. One of the most common endocrine disorders is Hypothyroidism, a condition that affects the Thyroid gland. The Thyroid gland produces two important hormones that are involved in the metabolism and growth of every cell in the body. Hypothyroidism has been linked to numerous health ailments. Due to the importance that Thyroid hormones play in the endocrine system, it is also not uncommon for a patient to experience other issues with their endocrine system after the development of Hypothyroidism. In this post, we will look at the possible connection between Hypothyroidism and Adrenal Fatigue. Both of these conditions are known to cause similar symptoms, which can make an accurate diagnosis difficult for the healthcare provider. We will consider how Adrenal Fatigue may be mistaken for Hypothyroidism, as well as how the presence of both endocrine disorders can cause symptoms experienced by the patient to become much worse. Adrenal fatigue is quite a complicated topic to discuss since conventional healthcare systems do not recognize this as an official medical condition that can be diagnosed. This has caused a lot of mixed opinions to be shared in the healthcare system. Alternative healthcare providers, however, do recognize adrenal fatigue as a possible cause of numerous symptoms that can become unpleasant to a patient. The human body has two adrenal glands – each on top of a kidney. These glands produce a range of different hormones. The primary hormones produced by the Adrenal glands include aldosterone and cortisol1. These hormones are involved in different processes in the body, including sexual well-being, response to stress, hydration levels, and metabolism. 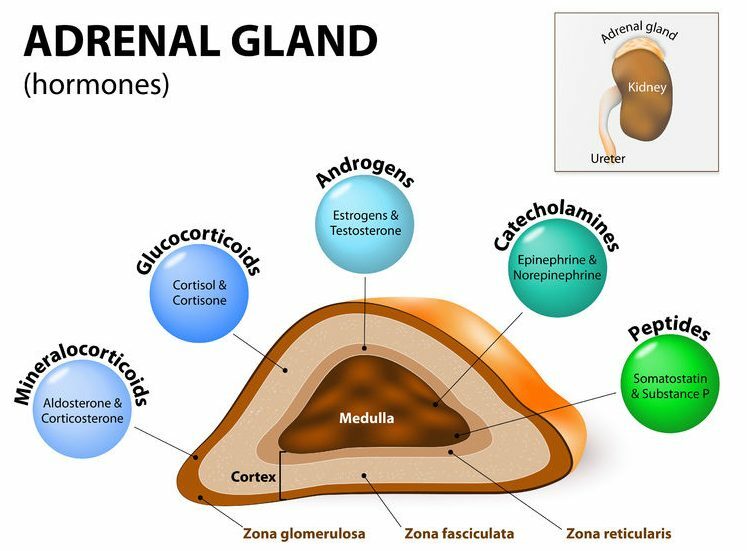 The Adrenal glands also play a key role in pregnancy and assists with sexual maturation when a child reaches puberty. Conventional doctors do not diagnose Adrenal Fatigue, as this condition is not considered a “real” disease. Yet, when the function of the Adrenal glands become suppressed, a patient may experience a large number of unpleasant symptoms. One recent scientific paper2 describes that clinical signs have been recognized in the condition, often described as Adrenal insufficiency, but treatment is usually based on symptoms and possible underlying factors. The paper states that modern-day studies have recognized a deficiency of mineralocorticoid in patients with suppressed Adrenal glands. An autoimmune action is currently a prime subject of discussion in studies focused on this condition. There are other possible underlying issues, including the use of particular pharmaceutical drugs, including fluconazole, ketoconazole, etomidate, and metyrapone. Cancer, infections and adrenal hemorrhage may also affect the function of the Adrenal glands. One of the primary concerns in current healthcare systems regarding the endocrine system is that some disorders may lead to the development of similar symptoms. In particular, physicians have recognized the fact that the symptoms associated with Hypothyroidism are also common in patients with Adrenal glands that are not functioning at optimal levels. Adrenal insufficiency can be classified into two categories, each associated with specific characteristics and symptom presented by the affected patient3. These two categories include non-acute Adrenal insufficiency and Adrenal crisis, and a condition also referred to as severe acute adrenal fatigue or insufficiency. Non-Acute Adrenal Fatigue – The more common type of Adrenal Fatigue that is associated with symptoms such as a general weak feeling, fatigue, weight loss, dizziness, a craving for salt, a reduction in pubic hair, headaches, postural hypotension, abdominal pain, nausea, vomiting, and diarrhea. Hyperpigmentation and other effects may also become present in the patient’s skin. Adrenal Crisis – A more severe level of Adrenal Fatigue that may become life-threatening if not attended to urgently. This condition is associated with severe hypotension, anorexia, a high temperature, neuropsychiatric symptoms, disorientation, hypoglycemia, and a severe headache with sudden onset. Pain is also commonly present in the lower chest area, the abdominal region, and the back. Let’s take a look at the symptoms that have been associated with the presence of an underactive Thyroid gland4. Cognitive impairments, such as a slowing in the thinking process or speech process, as well as memory and concentration issues. Pain is also a relatively common complaint in patients with Hypothyroidism. This is where things get complicated when considering the possible connection between Hypothyroidism and Adrenal Fatigue. As the data provided above reveals, even though some symptoms are opposite in these two conditions, there are numerous symptoms associated with these conditions that can be very similar. Both Adrenal Fatigue and Hypothyroidism causes a patient to experience fatigue, which can be chronic. Pain and an overall feeling of weakness is also common in both conditions, as well as cognitive impairment – including memory function issues and reduced concentration. Thus, when these symptoms become present in a patient, it may be difficult for an accurate diagnosis to be made. While testing for Hypothyroidism is relatively simple and only requires a blood sample, there are no established tests that can assist with the diagnosis of Adrenal Fatigue. Fortunately, physicians specializing in alternative medicine are aware of the complications that may occur when the Adrenal glands are suppressed. With this in mind, a visit to such a specialist when the symptoms described above become present can be useful to assist in determining whether the Adrenal glands of a patient may be suppressed. 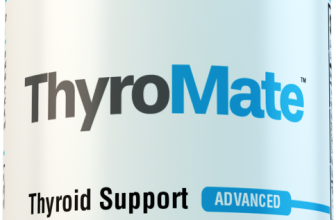 It is also important to realize that a positive diagnosis of Hypothyroidism in a patient experiencing these symptoms, especially when the symptoms seem to be more severe than what would be expected for their Thyroid hormone levels, does not automatically cancel out the possibility of Adrenal Fatigue. A consultation with a healthcare provider specializing in alternative medicine following the diagnosis of Hypothyroidism can be helpful in determining if Adrenal insufficiency may be aggravating the symptoms primarily caused by the underactive Thyroid. Treatment protocols for patients with Hypothyroidism are readily available and considered highly effective when the appropriate dosage is supplied to the affected patient. A recent scientific review paper5 describes that in modern-day healthcare systems, the most effective approach to restoring optimal levels of Thyroid hormone in the human body is through the use of Levothyroxine. Levothyroxine is a synthetic type of Thyroxine hormone, the most abundant hormone produced by the Thyroid gland. The body converts the Thyroxine, or Levothyroxine in the case of treatment, to Triiodothyronine, which is the active version of Thyroid hormone. Other treatment options have also been introduced in the treatment of Hypothyroidism. This includes Thyroid hormone replacement options that do not utilize Levothyroxine, such as directly replacing Triiodothyronine hormones. Thyroid hormone analogs have also been introduced as an approach to improving Thyroid gland function and restoring a healthier level of Thyroid hormone in patients with Hypothyroidism. Thyroid extracts and combination therapies are also available. Even though some of these have shown positive results in clinical studies, physicians are currently resorting to Levothyroxine as the first line of treatment. Even though not officially recognized as a disease in conventional healthcare systems, some conventional treatment approaches have yielded positive results among patients with Adrenal Insufficiency. At the moment, the use of hydrocortisone and glucocorticoid medications are considered possible treatment options for patients with suspected Adrenal fatigue6, but only when all other potential underlying causes have been ruled out. The unnecessary use of medication to treat Adrenal fatigue can lead to a condition known as an Adrenal crisis – as already described, and this condition can become life-threatening. In some cases, Dehydroepiandrosterone, also known as DHEA, can also be utilized as a treatment option for a patient with Adrenal Insufficiency. This option is more commonly used in women who present the symptoms of Adrenal fatigue with no other recognized underlying cause. In most cases, around 50mg of DHEA is provided to the patient daily, which can assist with improving the physiological symptoms that the patient is experiencing. DHEA does not seem to assist with the alleviation of psychological symptoms, however. In severe cases of Adrenal fatigue, some studies have reported positive results following the transplantation of an Adrenal gland in patients. This is not a common treatment option and is rarely considered an ideal solution. Adrenal Fatigue and Hypothyroidism can take a hefty toll on a patient’s overall health. While the use of certain pharmaceutical drugs become essential in many cases and can be helpful in alleviating some symptoms, there are also some lifestyle modifications that can greatly help a person improve their overall quality-of-life. One of the most important factors that a person needs to consider is the maintenance of healthy body weight. Obesity is known to adversely affect the production of hormones in the human body, which can cause problems with both the Thyroid gland and the Adrenal Glands. Simple modifications to a patient’s diet and exercise routine can yield positive results in their body weight. The inclusion of a “cleaner” diet, consisting of more fruits, vegetables, and high-fiber foods, can be beneficial. At the same time, the patient needs to eliminate certain foods from their diet – particularly those that are high in carbohydrates, saturated fats, and refined sugars. These all contribute to obesity and other possible issues in the body, including insulin resistance and high cholesterol levels. Physical activity should also become part of the patient’s daily routine. Even though weakness and fatigue are commonly experienced when a patient developed Hypothyroidism and Adrenal Fatigue, the use of physical exercise can help to improve overall energy levels and potentially reduce the frequency and severity of fatigue. Improvements in the patient’s stress management abilities are also essential, as high-stress levels can impair the function of the Adrenal glands and cause other potential complications in the body. Numerous methods can assist in reducing stress levels and improving the patient’s response to stressors. Meditation is one of the most useful options for managing stress better. Yoga and certain relaxation techniques have also shown promising results when it comes to reducing the effects of stress on the body. The endocrine system releases vital hormones that play crucial roles in the wellbeing of the body. The Thyroid gland is one of the most common glands in the endocrine system that develops problems. Some research studies have suggested that a connection may exist between Hypothyroidism, a term referring to an underactive Thyroid gland, and Adrenal Fatigue. In this post, we explored this possible connection and provided an overview of how improvements in symptoms can be experienced. I have had adrenal insufficiency since 1994 and I have been gaining weight every since. This year has really been bad since I lost two siblings. I am convinced stress is the cause of most of the gaining. I exercise and eat healthy. How can I reduce weight gain?